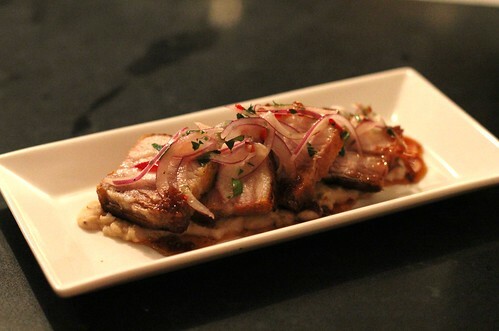 Pork belly, the stuff of Gods. And if you’ve had the delectable version at Graffiato, you know exactly what I’m talking about–melt in your mouth pork with that nice seared, caramelized outer edge, complimented by a roughly pureed bed of cannelini beans. Chef Mike Isabella shared the recipe with me in the most recent Capital Chefs which you can find after the jump. 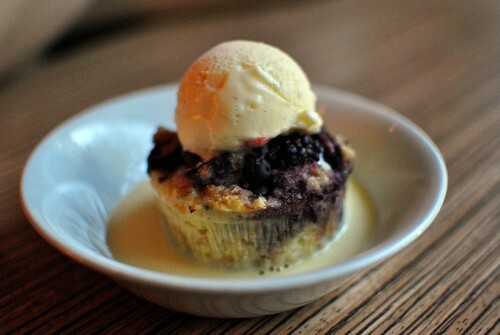 On a cold winter’s day, this dish is perfect. Chef Mike Isabella describes himself as intense, focused and driven. And at first you might be intimidated by the tattoos or the serious face when he asks a line cook about a certain dish, not to mention his culinary prowess that landed him on Top Chef and as a runner-up on Top Chef All Stars. But then you mention you’re both from New Jersey or make an astute comment about a dish, and right away the ice is broken, the conversation is off to a start and you wonder how anyone could describe the chef as anything but affable and welcoming. Earlier this year it was Toki Underground and Shake Shack that were pretty much the buzz everywhere before they opened their doors. 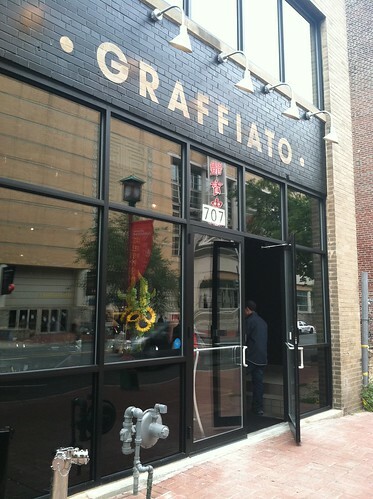 When that died down, Graffiato became the restaurant everyone was talking about. The 130-seat dining spot in Chinatown comes to us courtesy Top Chef Mike Isabella, and it has been consistently crowded since it opened in June. 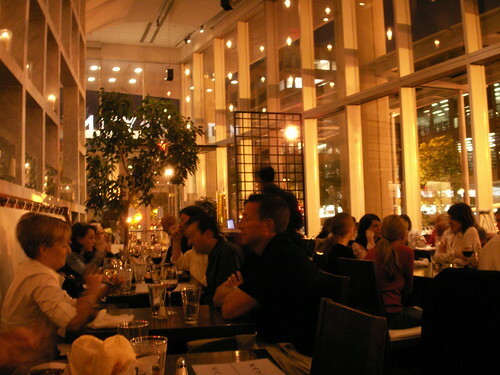 As most foodies can tell you, Isabella is no stranger to DC. 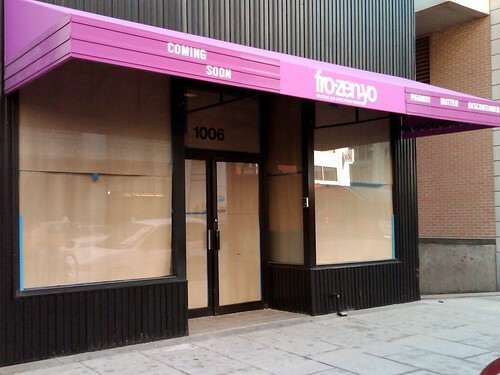 He spent three years in a kitchen a few blocks northwest of Graffiato, as the executive chef of Jose Andres’ Zaytinya. If that doesn’t ring a bell, he also appeared on Season Six of Top Chef and he was the runner up on Top Chef All-Stars. Running Indefinitely: Kushi Izakaya & Sushi will donate 100% of the sales of its popular Buta Bara Kushiyaki (Pork Belly Kushiyaki) to the Japanese Red Cross to support earthquake and tsunami disaster relief in Japan. The Pork Belly Kushiyaki, made with North Carolina pigs and cooked sous vide for several hours, is Kushi’s best-selling menu item averaging monthly sales of approximately $7,500.00. Getting Bigger…Come May Hank’s Oyster Bar will double in size, adding a bar & lounge as well as a private dining room. So what does this mean? Late night hours! Two am on weeknights and 3 am weekends. 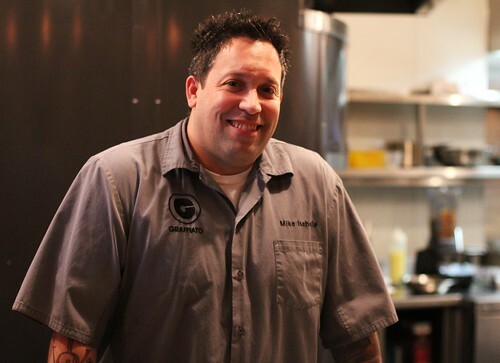 Our devoted readers might also remember that restaurant partners Jamie Leeds and Sandy Lewis from Hank’s sold CommonWealth Gastro Pub in Columbia Heights last month. Opening: Because I live for press releases with a lot of adjectives and love the movie Burlesque…”From the restaurateurs behind distinctive dining concepts OYA and SEI comes SAX, an exclusive lounge and restaurant with provocative live entertainment designed to amuse, please and divert the senses with opulent grandeur.” Look for it in May.